Since its inception the stock has pretty much gone vertical, (subject to corrections). The strong upside is supportive of an impulse wave. When you take a look at a weekly time frame, you can actually make out 5 clear waves, which makes it easier for Elliott wave users to define the waves. I suspect the move we have witnessed from the 2014 low is that of an impulse wave. When we take a detailed look at wave , it too appears to have 5 waves, so it could well have ended the whole cycle from the 2014 low. A strong move back below $95.00 is needed to support a reversal and suggest wave  had likely ended, although an impulsive decline in 5 waves below $95.00 would be a good sign to support a reversal. 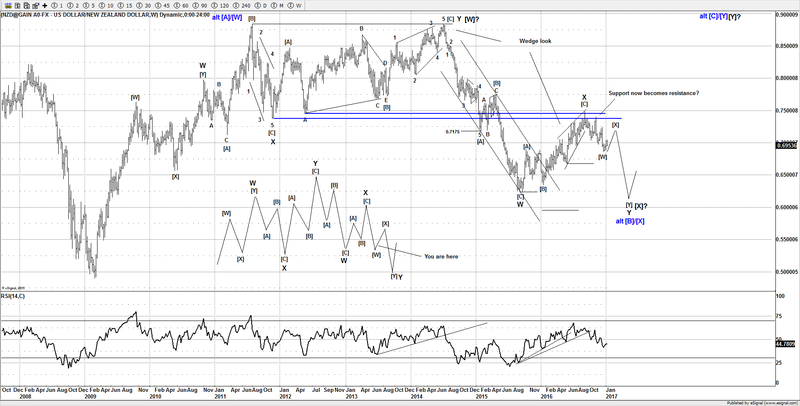 A move in 3 waves to correct the 5 wave advance from the 2014 low towards $75.00 – 70.00 would be a realistic target. Do you have a stock that you want evaluating? Purchase a consultation call and get an independent review through the lens of Elliott Wave. With the US stock markets vibrating around the previous all-time highs, it may be prudent to think about protecting any gains you have.